The recipe is adapted from King Arthur Flour. I have used grape seed oil instead of vegetable oil as said in the original recipe. I have been wanting to try the grapeseed oil for a while. It tasted great and there was no jutting flavor of oil. 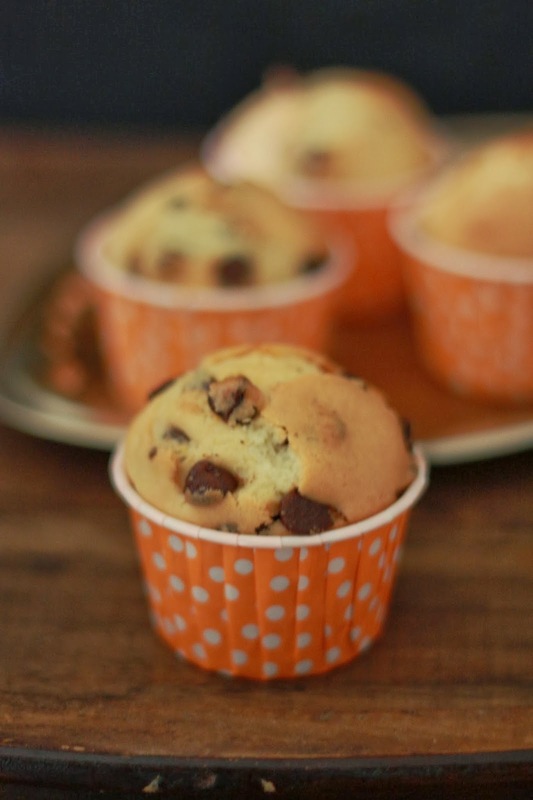 Preheat the oven to 200 C. Line 10-12 paper muffin liners. Sift the flour, baking powder and salt. Set aside. In a mixing bowl, beat the egg, sugar, milk, orange zest, orange juice and oil till well combined. Add the flour mixture and gently fold the mixture till well combined. Make sure not to over beat/mix the batter else they will not be light and fluffy. 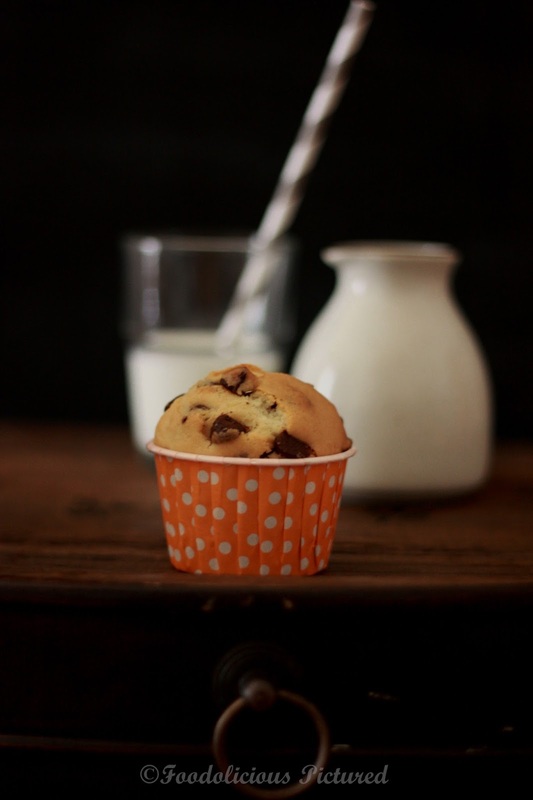 Fold in the choco chips and divide the batter equally into the lined paper muffin liners and bake for 20-25 minutes or when toothpick inserted in the center of the muffins comes out clean. Cool them for 10 minutes and then place on a cooling rack to cool completely. 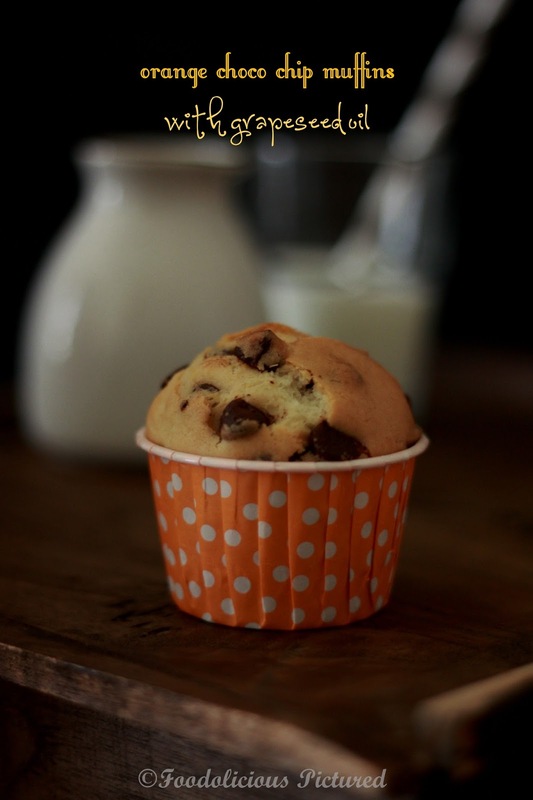 wow gorgeous & Lovely muffins; shall try it for sure; presentation is so great 🙂 rekha your recipe is just wonderful..
Love the orange scent inside. I've been using grape seed for savory dishes but never for baking. Next round of muffins will be with it. 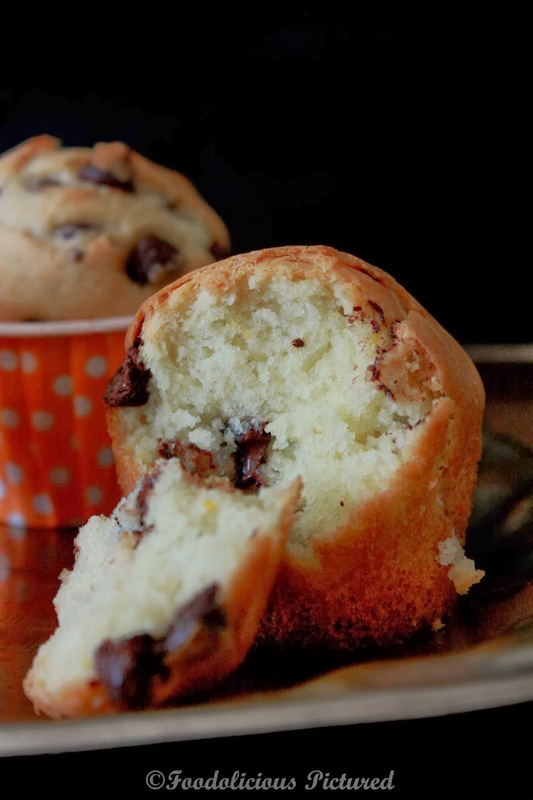 the muffins look great…all the pics look wonderful but the last pic left me drooling…it looks so soft and airy..wish I could have it with my tea now..
this looks really soft, bookmarking for my next week's breakfast! I love orange flavor in baked goodies. 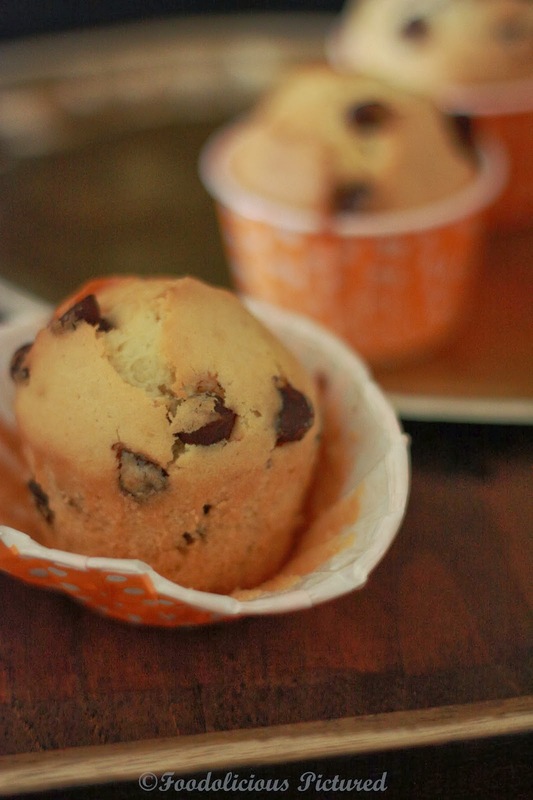 I am pretty sure my kids are going to love this coz their 2 favorite ingredients chocolate chip & orange are in one muffin. Nice clicks too!!! ur clicks are superb Rekha. 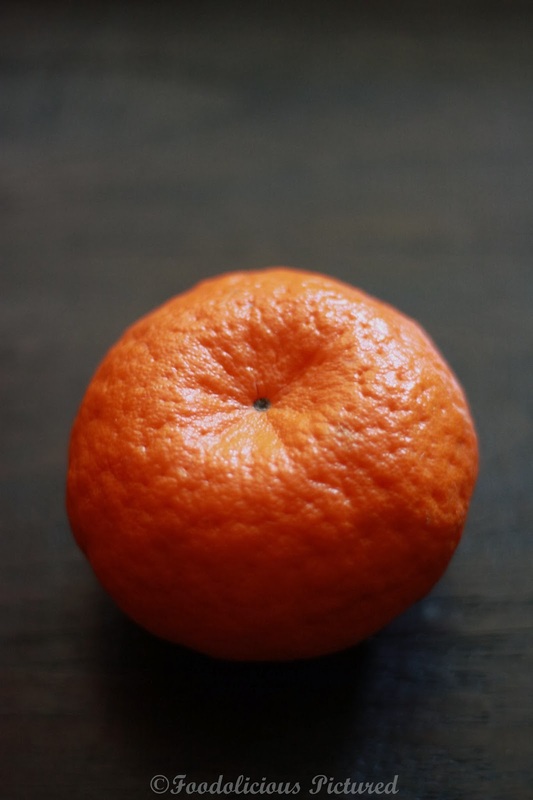 I love that orange's pic !